Recommended for glass, metal, plastic, porcelain and rubber. 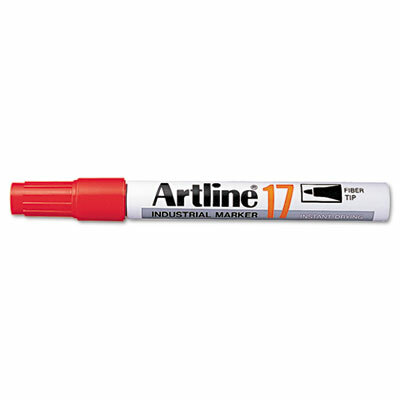 Industrial markers have instant dry, permanent, waterproof ink that can be used on a variety of surfaces. Features an acrylic fiber tip. Recommended for glass, metal, plastic, porcelain and rubber.